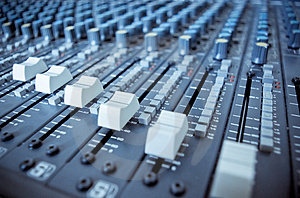 Worship leader Andy Chrisman has some great thoughts on the process of getting your monitor mix. I disagree with his point #4, love his points 2 and 3 and think his first point is interesting. Coming from a low budget-small church, I can testify that you will never get the perfect monitor mix, especially out of monitors on the floor. Concerning Avioms, i see no problem with them. He is making a blanket statement that no one can make their own monitor mix and stick with it throughout a set. I can see how it would effect some people negatively though. If you’re too obsessed with “the perfect mix” then you not want to use an aviom. I think #4 is more personal and flexible and can change according to different people situations. I agree about the blanket statement. It may be what works at his church, but that’s why I started this blog. He’s serving at a large, multi-site church. A church like yours or mine won’t have their issues, but he also won’t have ours. I think there’s some good stuff in there, but we just have to filter out the stuff that doesn’t apply.